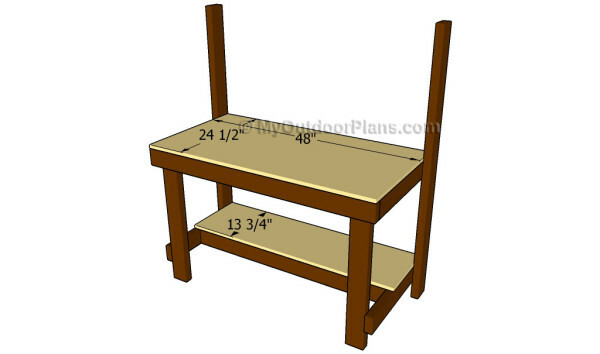 This step by step diy woodworking project is about how to build a work bench. If you have a workshop or a garage, then you probably know how important is to have a work bench and how much added value it will bring to your projects. There are many ways in which you can get the job done in a professional manner, so make sure you take look over the related plans before starting the actual construction. Always adjust the size of the work bench to your needs and invest in high-quality materials, if you want to get a professional and durable result. Add waterproof glue to the joints and check if the corners are right-angled. Work with attention and ask a skilled friend to assist you when assembling the bench, as you need someone to hold the components locked into place, while you insert the screws. 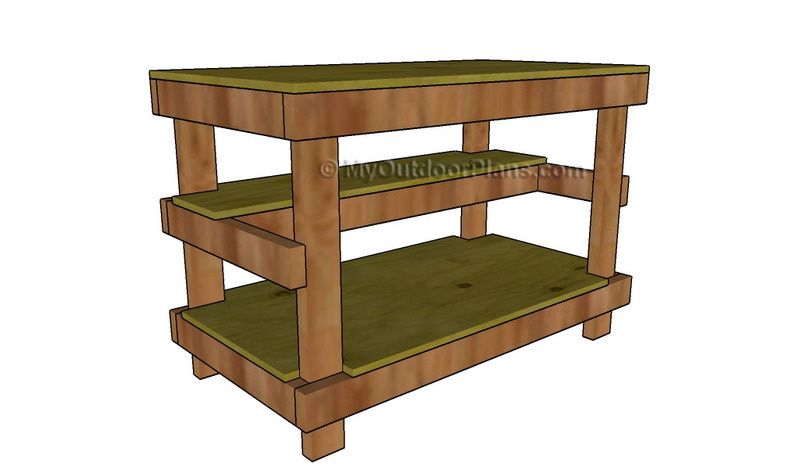 Top Tip: If you are looking for a traditional work bench, we recommend you to pay attention to the related plans. 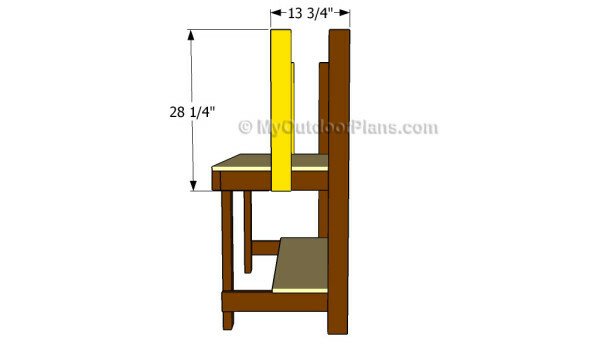 There are other work bench plans featured on our site that will suit your needs. 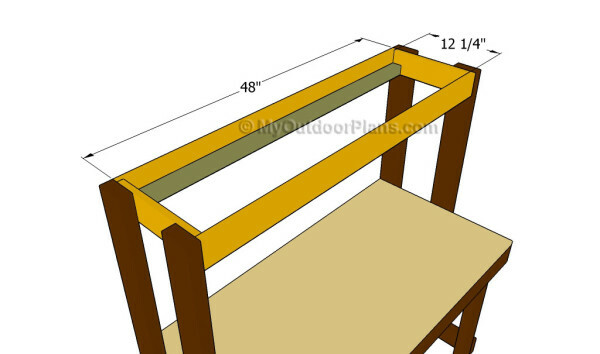 The first step of the woodworking project is to build the frames of the work bench. As you can easily notice in the plans, we recommend you to build the components from 2×4 lumber. Cut them at the right size and assemble the frames with screws. Drill pilot holes through the components and insert 2 1/2″ screws to lock them together. Make sure the corners are right-angled and add waterproof glue to the joints, if you want to enhance the rigidity of the frame. Take accurate measurements, if you want to get the job done in a professional manner. 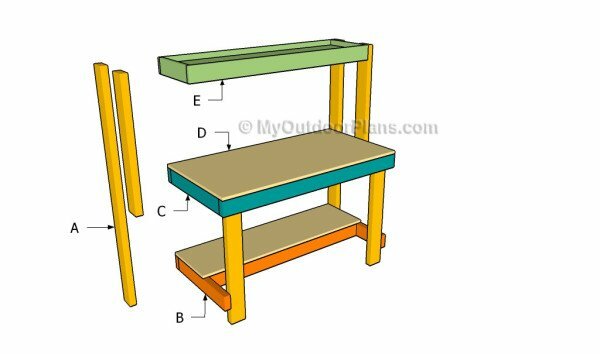 Continue the woodworking project by attaching the 2×4 legs to the structure with galvanized screws. Drill pilot holes through the legs and insert the 2 1/2″ screws into the frames after making sure they are plumb. In addition, we recommend you to check if the frames are perfectly horizontal before locking the legs to the frames with galvanized screws. Make sure the corners are right-angled, as well. 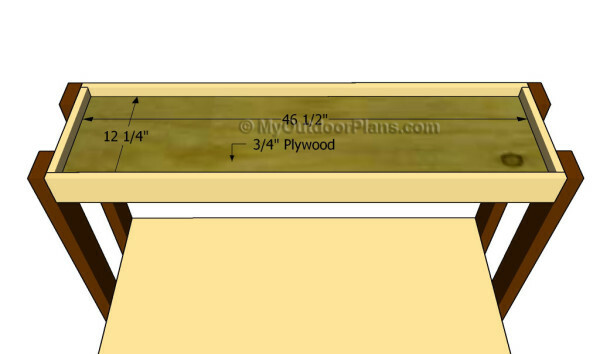 Attaching the plywood sheets to the frame of the work bench is a straight-forward process, but you need to pay attention to several things. First of all, take accurate measurements and get the job done with a sharp power tool. Top Tip: Attach the plywood pieces to the frames and secure them into place with galvanized screws, after making sure they are aligned at both ends. Leave no gaps and add glue. 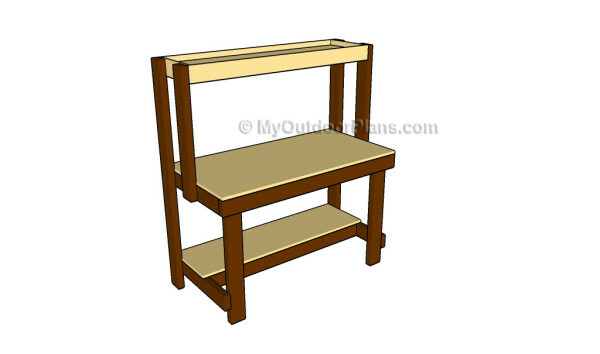 If you want to create extra-storage space for the work bench, we recommend you to build a simple shelf and attach it to the top of the work bench. Cut the 1×4 slats at the right size. Drill pilot holes at both ends of the 48″ long components and insert 1 1/4″ screws into the short ones. 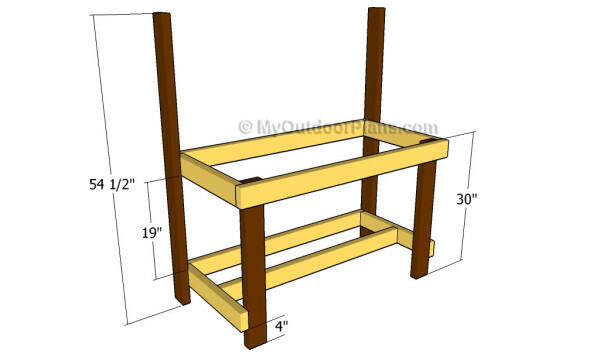 Next, secure the frame to the top of the legs with 1 1/4″ screws. Attach 2×2 cleats to the interior faces of the frame and lock them into place with galvanized screws. Make sure the cleats are perfectly horizontal before inserting the screws into the frame. 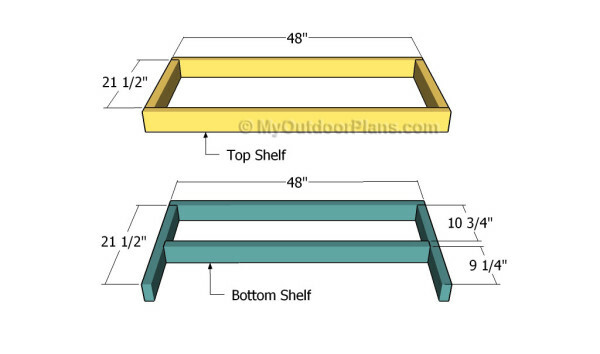 In order to support the top shelf properly, we recommend you to cut a piece of 2×4 lumber and to attach it into place, as shown in the image. Plumb the support with a spirit level before inserting the screws. Cut a small piece of 3/4″ plywood and attach it to the cleats with 1 1/4″ galvanized screws. Smooth the edges of the plywood sheet before fitting it into place. Top Tip: If you want to enhance the look of the woodworking project, we recommend you to cover the components with carpet. 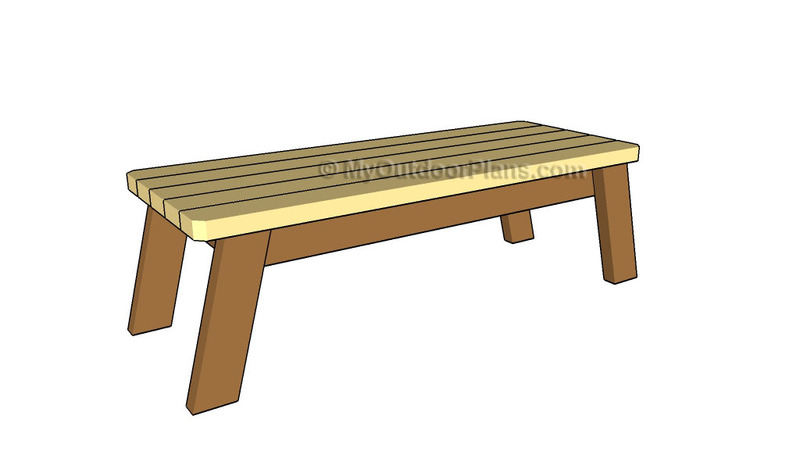 Place the work bench in a proper location and move it whenever necessary. 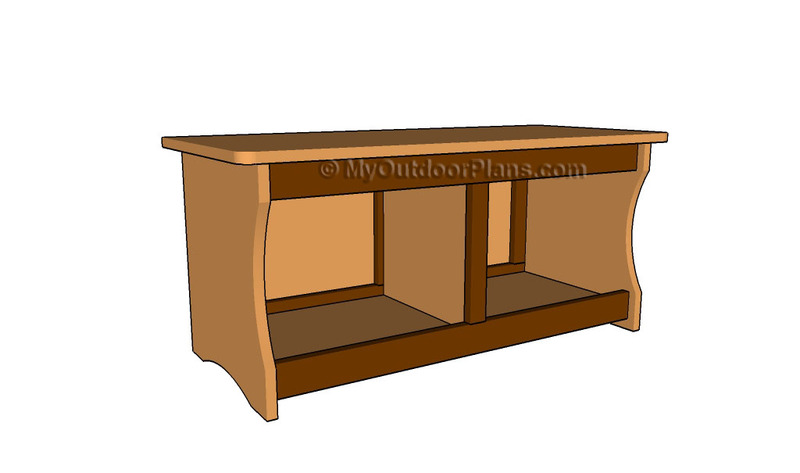 This woodworking project was about how to build a work bench. If you want to see more outdoor plans, we recommend you to check out the rest of our step by step projects. LIKE us on Facebook and Google + to be the first that gets out latest projects.